Something very fun showed up at my house last week...and there might just be something in it for you! That's right, get ready for a little giveaway! I've been having a great time playing with my new Accuquilt Go Baby Fabric Cutter and I'll be posting a review and tutorial for y'all too! 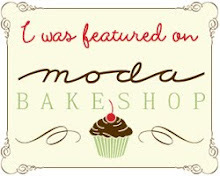 Woot woot - so fun! 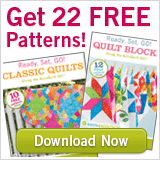 Aaaannnnddd....if you'd like 22 free patterns from Accuquilt just click on the little picture below! I completely forgot to share this fun picture from Quilt Market with you guys! 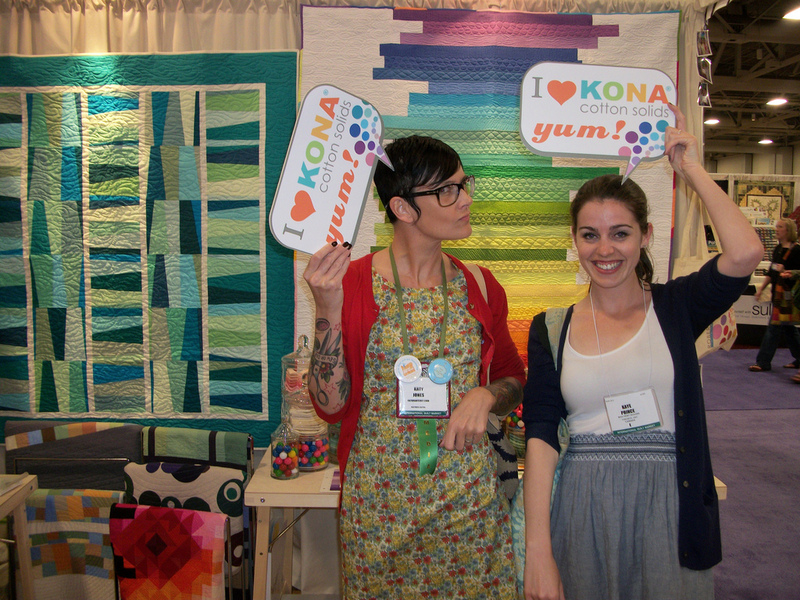 Can you tell that Katy and I really love Kona?! Oh yes, we really, really do! And Katy's dress is Liberty...and it has tigers on it...because, ya know, Katy is awesome like that. Blocks three and four for week two! They're actually reversed in this picture - the basket is block three. I haven't put the handle on my basket yet because I was to practice my reverse applique skills a little before I do it - if that doesn't work out I'll use the template for machine applique. 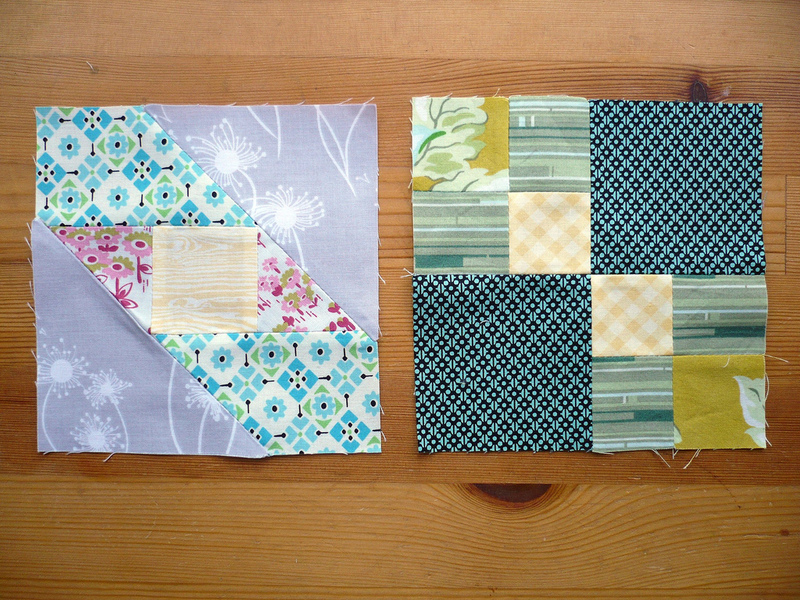 Blocks five and six for week three. 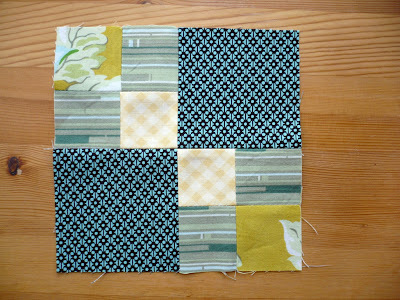 I'm finding it a little difficult to use the DS Quilts collection in each of my blocks because there are some favourite scraps that I want to use in my blocks that just do not look good with the DS Quilts so I'm contemplating adding in another collection to use as a base too - right now I'm thinking either Prince Charming or Meadowsweet. What do you guys think? And just a little update for you all on what's going on with Canada Post: yes, we are still without mail service but the government had proposed back-to-work legislation which could pass as early as Thursday. This means that we could have mail service again very soon - hurray! I for one will be very happy when the post gets back up and running! 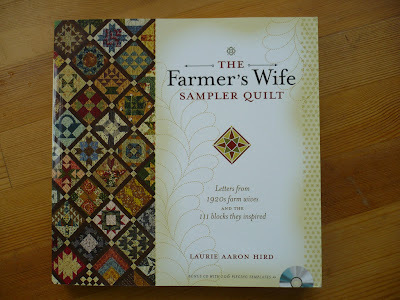 Getting my Farmer's Wife On + FQS Giveaway Winner! 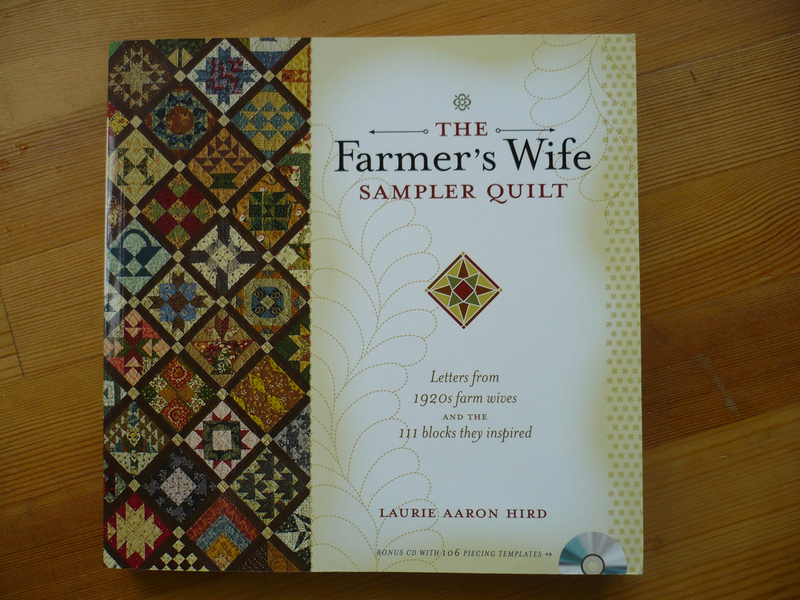 So I'm sure you've heard you've all heard about the Farmer's Wife Quilt-A-Long being hosted by Amanda and Angela, but in case you haven't, I'll tell you a bit about it! 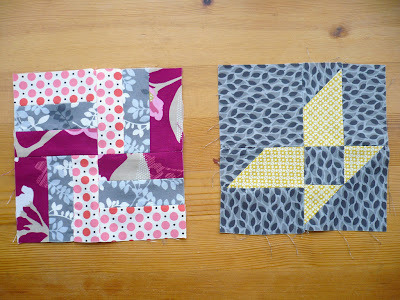 I've finished block four so far too, and I have all the pieces for block three cut out, as well as having the templates for blocks five and six all ready - I think I'll get them done tonight, woot!! 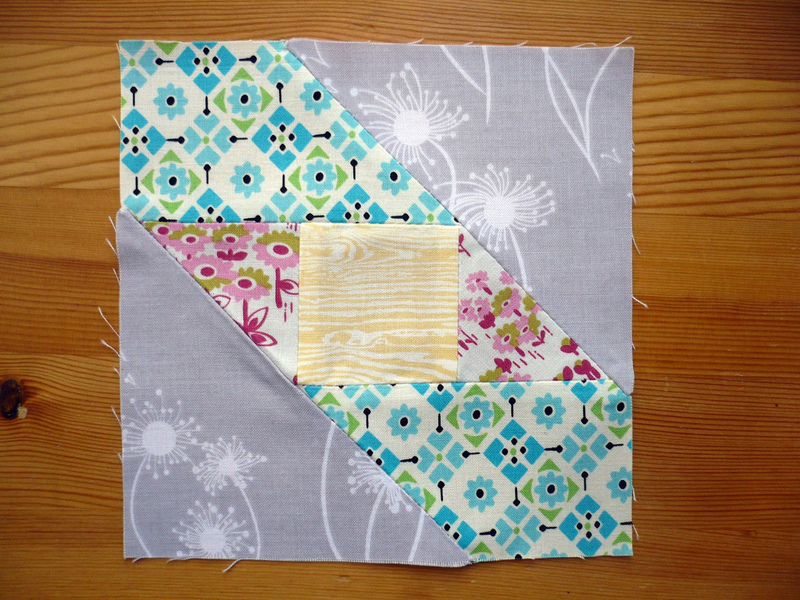 Come and check us out on Flickr - there's a group over there where everyone is sharing the completed blocks and there's lots of discussion going on too! Congratulations Taya! 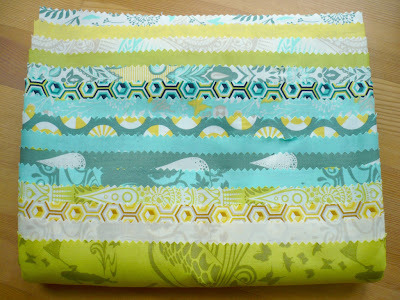 Email me with you mailing address and Fat Quarter Shop will get your bundle shipped out to you! And to everyone else - you know you're all winners in my book *wink* and I definitely think you should all head over to Taya's blog and check her out because she is super-cute and makes cute stuff to boot too! Hey all! 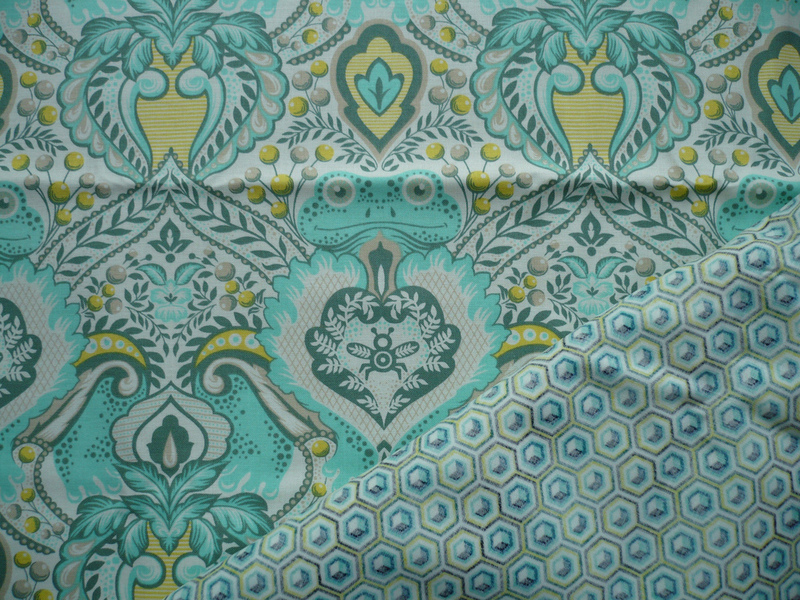 First things first, if you're looking for the super-awesome Tula Pink and Fat Quarter Shop giveaway you can find it here! 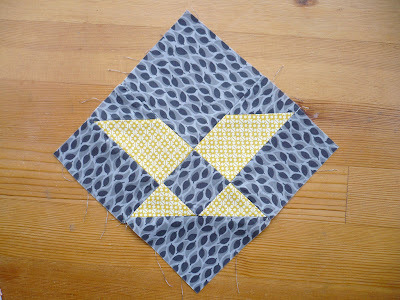 So, I've got a new pattern-tutorial for you all! Would you like to see it and find out where you can find it? Okay! 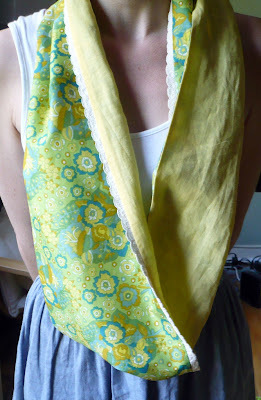 Sew, Mama, Sew asked me once again to be a little visitor on their blog and so I came up with this free pattern-tutorial for you all - may I introduce you all to the Sweet Baby June cowl! Sweet Baby June is a light and airy spring/summer-weight cowl which utilizes voile, linen, and Cluny lace! 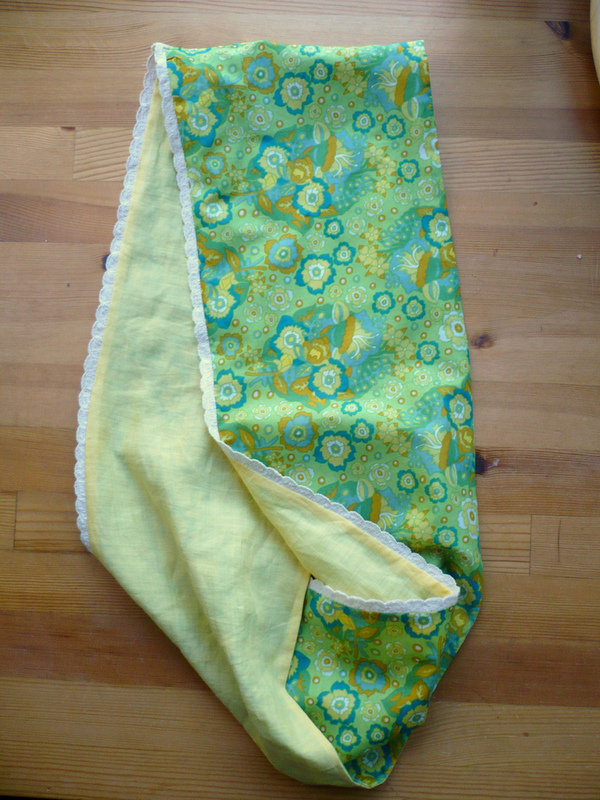 For the version you see here I used Anna Maria Horner's Baby Bouquet print in Meadow from her Little Folks line, handkerchief weight yellow linen, and 3/4" scalloped cotton Cluny lace (my favourite type of lace). Sweet Baby June features a unique double-möebius twist and is long enough that it can be looped around the neck figure-eight style (sorry for the slightly blurry pic there)! Let me know what you guys think! 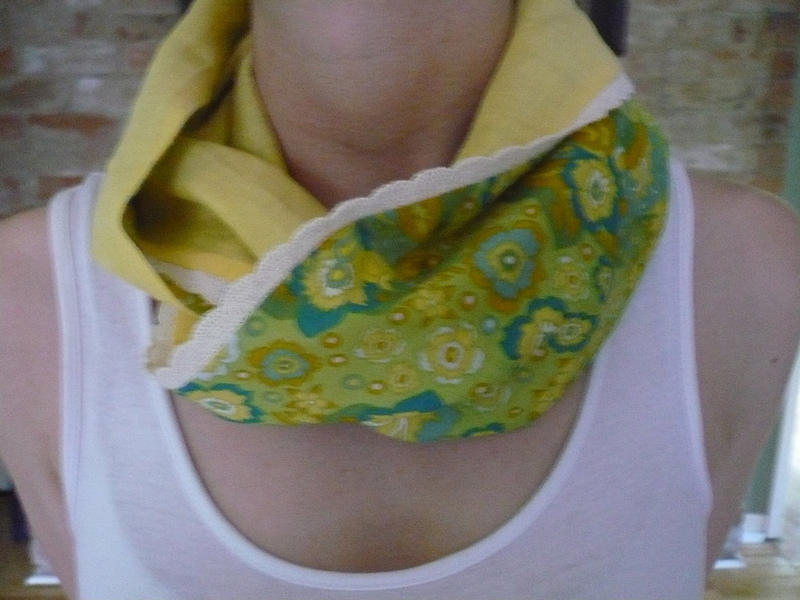 I'd love to hear your opinion on the cowl and/or your thoughts on me doing patterns and tutorials that are not quilting-related! 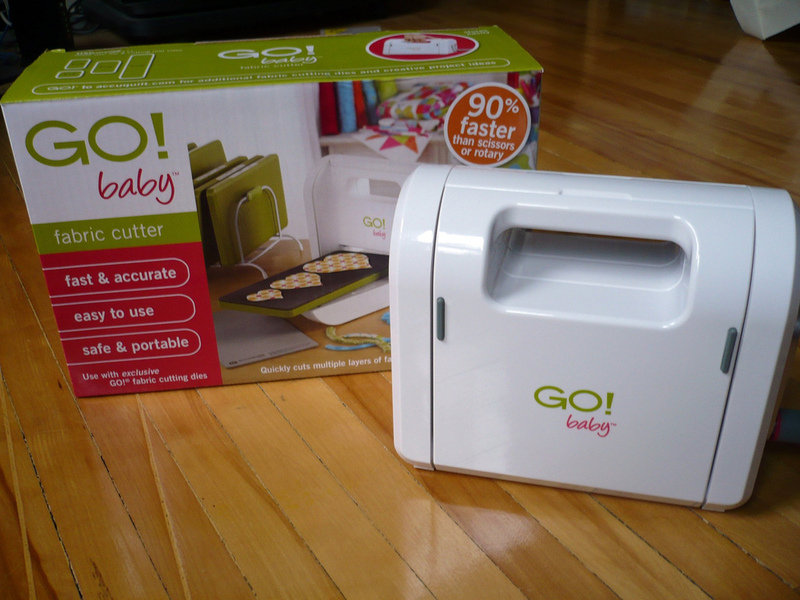 Um, so I have another giveaway for you guys...and let you tell me it's pretty flippin' awesome! At the beginning of June I welcomed my first sponsor - Fat Quarter Shop - to the blog; by way of saying "howdy!" and "hi there!" 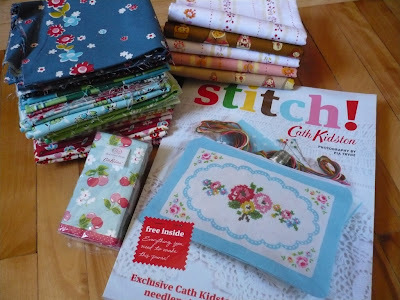 the awesome Kimberly Jolly (you know the fantastic lady behind Fat Quarter Shop) has offered up a wonderful, not-so-little bundle just for you! You wanna see what it is?! Okay! 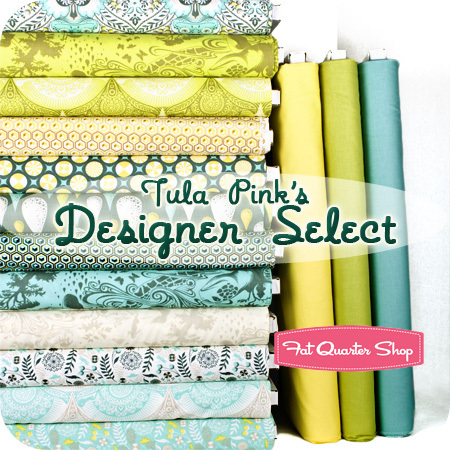 Um ya, so up for grabs is Tula Pink's Designer Select fat quarter bundle which is exclusive to Fat Quarter Shop! 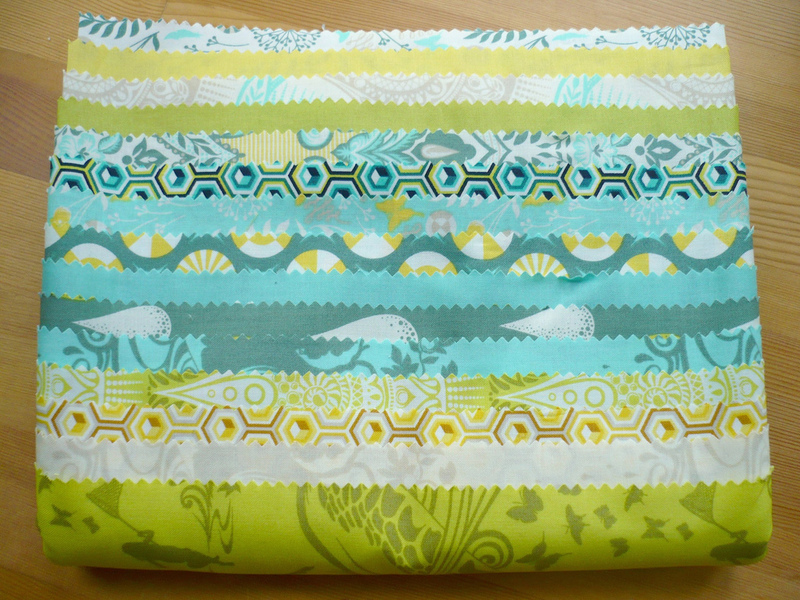 The bundle features 15 fat quarters - 12 prints from Prince Charming and 3 coordinating Free Spirit solids - selected by the lovely and super-talented Tula Pink herself! The bundle will appear (magically I say!) directly from Fat Quarter Shop all prettily folded just like the above! Up there you can see the same bundle that I received from Kimberly and let me tell you - it is super-gorgeous! This is one of my absolute most favourite prints which I lovingly refer to as "the Tula turtle" or "TurTula" (you don't want to be my friend anymore, do you? ); my favourite little scene in this one is the girl sitting on the chair with her umbrella under the rain, do you see it? Isn't it awesome? I kind of want to play a little game of I-Spy with this print - can you see the bicycle? The fire hydrant? 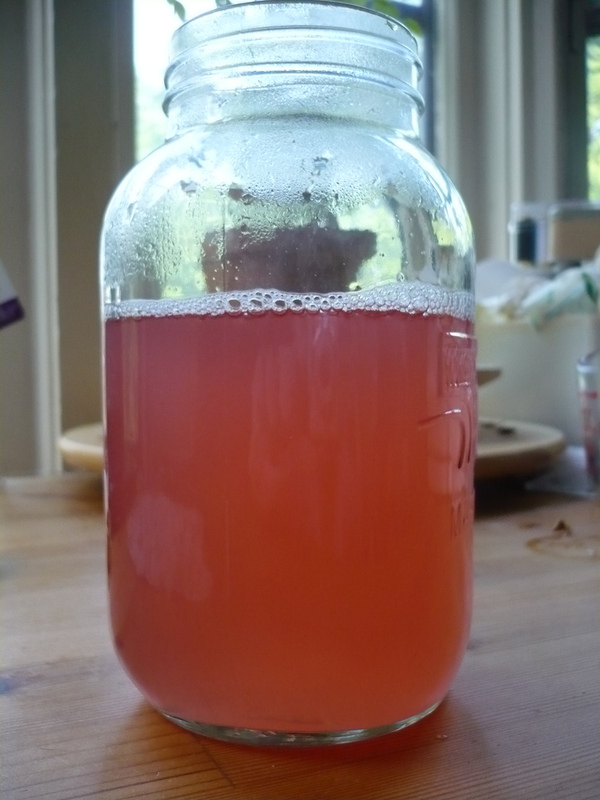 The peach tree? Eeeek! And the super-duper Prince Charming himself! Oh yes, be still my pitter-pattering little heart - that is one handsome fella! His little bee friend just kills me! 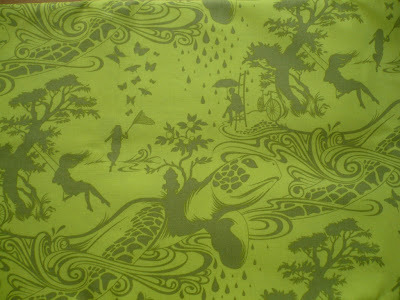 is that Fat Quarter Shop carries (or is in their "coming soon" section)! or if you become one, letting me know you are! and link back to this post! There ya go - three ways to enter! Make sure to leave a separate comment for each entry and please remember that I have comment moderation on the blog - so if your comment doesn't show up right away it is just because I haven't moderated it yet! 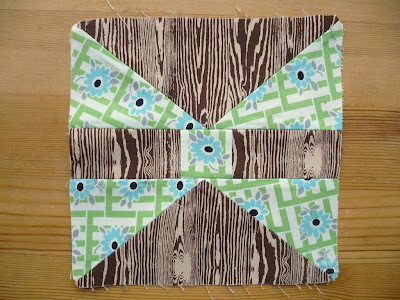 The giveaway is open internationally as Fat Quarter Shop will ship to the winner worldwide. 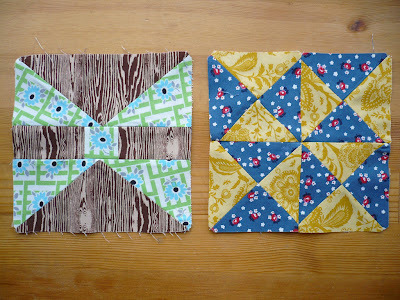 I will leave the giveaway open for one week and will announce the winner next Wednesday (June 15th) here on the blog! See now, isn't that awesome? Yup, yup - you best get entering folks! 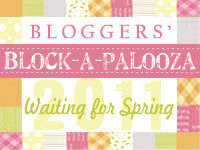 I'd totally be entering if it wasn't my giveaway...dang, should have thought that through! Oh wait...that's right...I have my own bundle...hmmmm...pip pip (and all that) - hop to it! 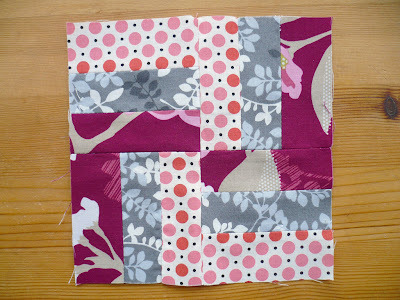 First things first, if you're looking for the Fresh Fabric Treats and petits fours giveaway you can find it here. It's open until Tuesday so there is still time to enter! 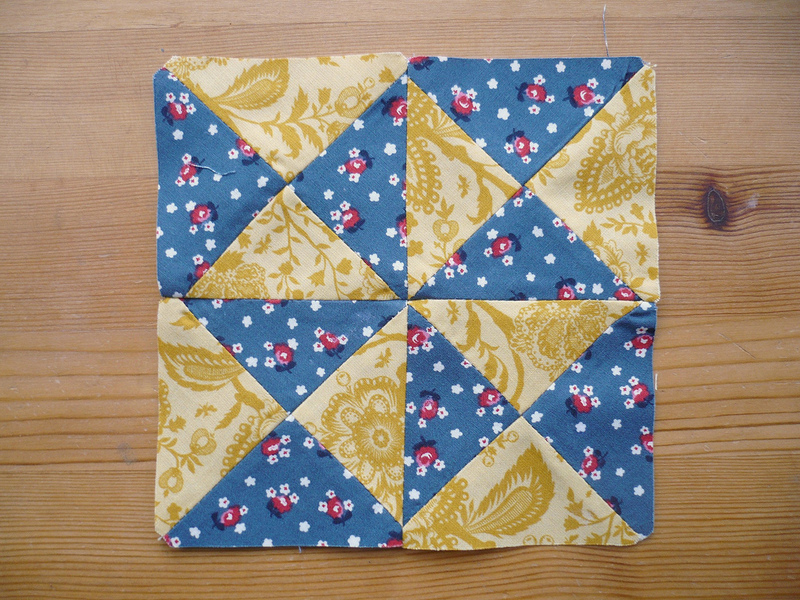 I will actually have another giveaway for you this upcoming week to welcome my new, and first, sponsor Fat Quarter Shop and that little giveaway might just be something exciting from a new line from a very lovely lady! So I convocated on Thursday and am now officially a Master of Information! I was all in a tizzy because I didn't have anything to wear and couldn't afford to buy anything new; I tried to make myself a skirt and it just was not working (may have something to do with the fact that I didn't use a pattern and just kinda flew by the seat of my pants), but Alex offered to buy me a dress as my graduation present so it all worked out in the end! Unfortunately I don't have any pictures of me in the dress because the only pictures from convocation are the ones that my Mum took and the majority of them are blurry, but I'm wearing the dress again this upcoming week to Alex's convocation so hopefully I can get some pictures then! I realized this week that I didn't actually show you guys any of the pictures of the things I picked up at Market, or the lovely gifties that I received from Jennifer and Doe, so let's call this post the Market wrap-up post! 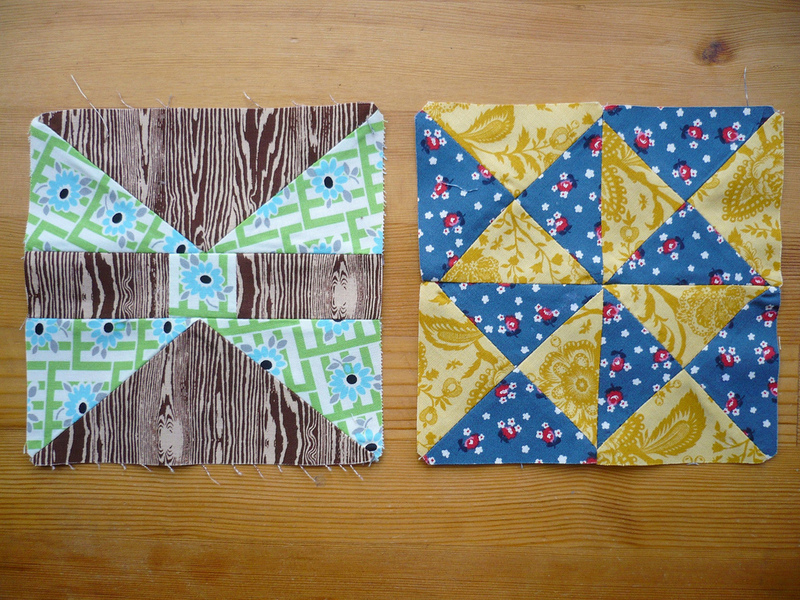 I did make some presents for Jennifer and Doe too but completely forgot to take pictures before giving them away...ah, such is my life! 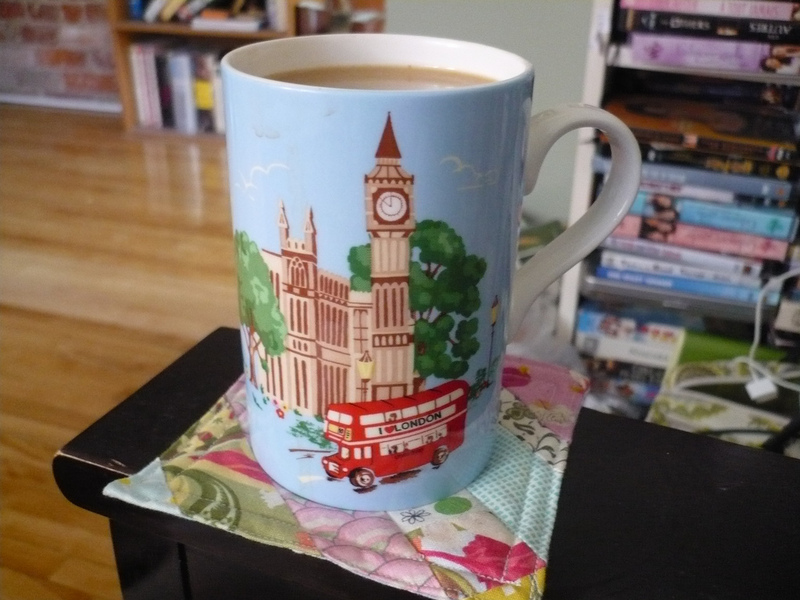 Here is the lovely Cath Kidston mug that Jennifer bought me when she was England prior to Market! I just love it! And yes, this picture was taken while sipping at my morning coffee today - I received a pound of coffee from Kicking Horse this past week and was very very happy this morning when we finally opened up the beans! Here are the rest of the gifties from Jennifer and Doe! 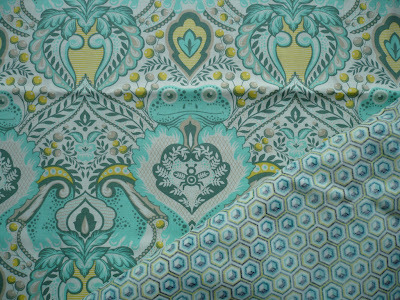 Doe gifted me with almost the entire new line of Denyse Schmidt fabrics from Joann's (only missing two prints I think) and it is just lovely - the blues and greens are most definitely my favourites! She also gave me two charm packs from Bonnie and Camille's Bliss collection, but I forgot to throw them in the picture! Jennifer also brought me back Cath Kidston's book Stitch and some CK tissues from England, as well as gifting me with a few prints from Heather Ross' West Hill collection (in half yards - woot!). I had a bunch of these WH prints already but not in half yards so I'm pretty happy - I only need the purple matroyska and the blue horses and my West Hill collection will be complete! Here is my fabric loot from Spree and Market! I didn't get very much this year because, having just finished my Masters and being in the process of looking for a regular full-time job, I don't have a lot of extra money. 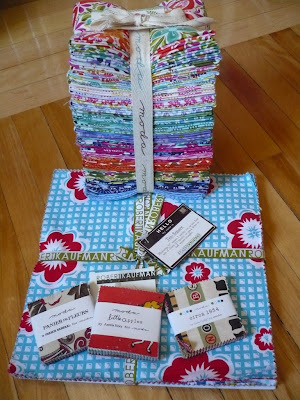 The fat quarter bundle in the back is from Kate Spain's upcoming line Terrain and is actually not all mine; Jennifer and I are splitting the bundle into fat eighths, but I haven't mailed it yet because I'm waiting for the Canada Post strike to be over! The ten square is Treasures and Tidbits, the debut line from Piece O'Cake - it had a very vintage feedsack feel to it. The three petit fours I picked up while walking around Market, two are the same as the ones in the giveaway (Panier de Fleurs and Circa 1934) but I also managed to score one from Aneela's Little Apples line - woot! Now isn't that all just a bunch of prettiness?! I probably would have gotten a few more lines at Sample Spree if they had been there - Free Spirit never has a table, Andover was out of Lizzy's 1001 Peeps by the time I got to their table, and I somehow managed to miss Pat Bravo's Art Gallery table all together! 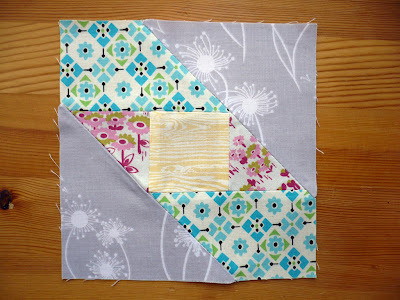 Okay, I've got to get to work finishing up a little pattern-tutorial that I have coming out for you guys - think voile, think linen, think cotton Cluny lace! Oh yes, it's going to be very pretty!